Walnut Creek is more of an intersection than a town. Located just east of the intersection of SR 39 and 515, Walnut Creek has developed into a destination unto itself. The community has become a major point of interest for tourists over the years and offers almost everyone visiting this idyllic spot in northeastern Ohio something special. Located on a little ridge that overlooks a sweeping dale known as Goose Bottom Valley where Walnut Creek and Goose Creek come together. Several furniture stores are located in Walnut Creek and of course the Carlisle Inn. Visitors also can’t leave without indulging in a few treats from Coblentz Chocolate Company, where you can also watch as chocolates are made and packaged Monday thru Friday. There is no Saturday production and they're closed on Sunday. The big name in Walnut Creek is Dutchman Hospitality. They own and operate not only Der Dutchman Restaurant and Bakery, but also the Carlisle Inn and Carlisle Gifts, all top notch hospitality providers with style and class. The Carlisle Inn is best known for offering rooms with a view. If possible select one of the rooms on the back side for the most beautiful and scenic view of the Amish countryside. Visitors should book in advance, especially for weekends which typically are sold out. 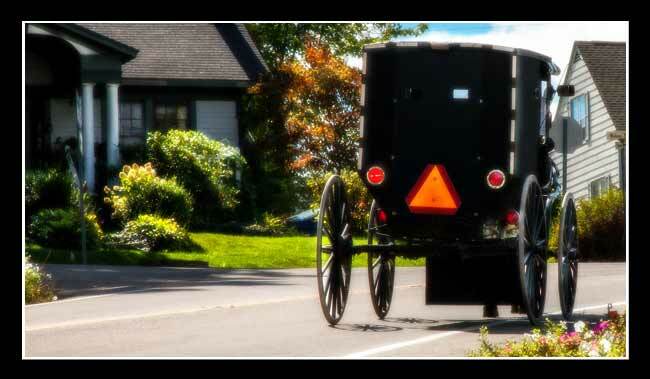 You can even book an Amish buggy ride from the hotel. Don't miss there breakfast. 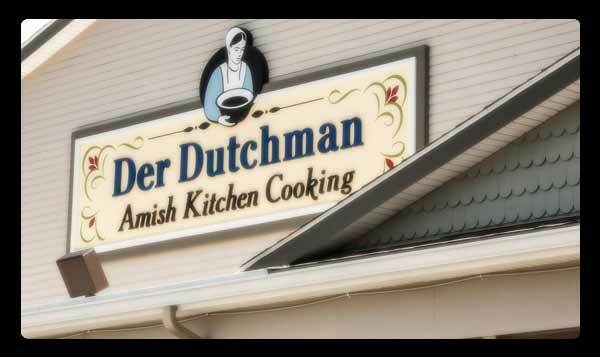 Der Dutchman Restaurant has anchored Walnut Street for more than 3 decades, serving genuine Amish fare to loyal locals and tourists alike. The farm is a working Amish Farm that offers a unique experience and home to more than 500 animals from 6 continents including giraffes, camels, llamas, porcupines, kangaroo and gigantic cattle to mention a few. Farm activities and attractions depend on the season.